Visit Jiraffe at The Care Show 2018, NEC Birmingham! 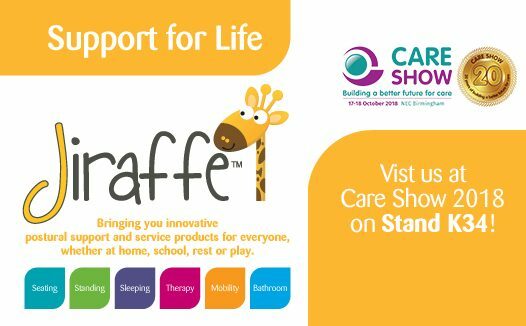 Jiraffe will be exhibiting at The Care Show 2018, held at NEC Birmingham on October 17th – 18th! E-Pacer – Combining the powerful electric lift column and secure body of Rifton’s TRAM, with the key gait training features of the classic pacer. TRAM – A transfer and mobility device designed for the safety and convenience and dignity of both patient and carer. HTS – A hygiene system that solves the toileting challenge! Read our blog on Safe Patient Handling and the Rifton TRAM here!